On Sunday, September 13 at 3:00 PM, the Sonics will host their annual picnic for the athletes and their families who participated during the 2015 season. The picnic will be held at George Bush Park, 16756 Westheimer Pkwy, Houston, Pavilion #2. Come join us for an afternoon of food, fun, and reflection on the many accomplishments of our fine young athletes. Hello, Sonics family members! 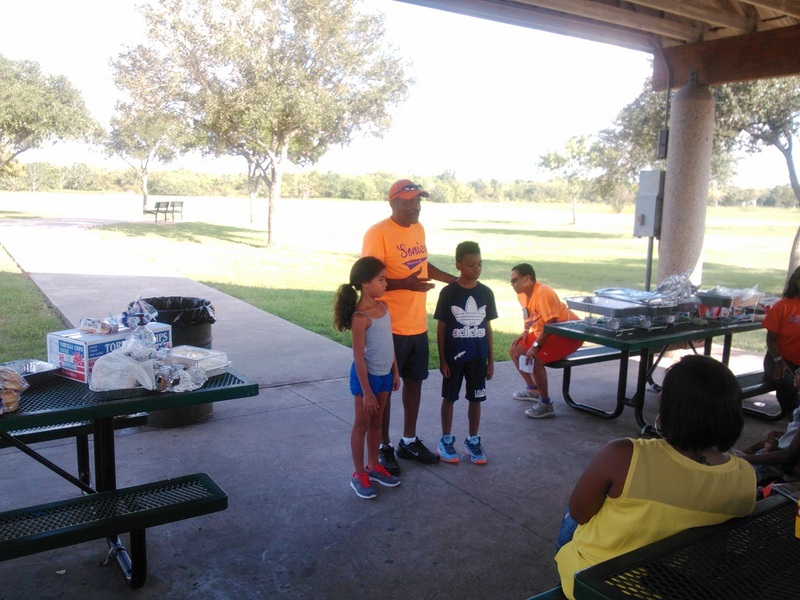 It’s time once again for our annual picnic at George Bush Park, Pavilion #3 on Sunday, September 21 from 2:00 PM – 4:00 PM. The team will be providing food and water; members from the north side are being asked to help by bringing chips/snacks and south side members desserts and other drinks and coolers. If you have any questions regarding what you should bring, please check with Coach Camille. It’s also advised that you bring mosquito repellent due to the recent infestation around the Houston area. In case of rain, the make-up date will be the following Sunday, September 28 (Pavilion #2). Please RSVP to Monica Siverand, 832-922-3066. Good afternoon, Sonic Family! I pray that the school year has started off smoothly for everyone and that our kiddos are preparing themselves for a successful future! We will host our annual Sonics Picnic on Sunday, September 15, from 2 p.m. – 5 p.m. The picnic will be held at George Bush Park (16756 Westheimer Pkwy Houston, TX 77082) at Pavilion #3; which is the large pavilion. The park is about one mile west of Highway 6 and Westheimer. We will have pizza, games, and a good time with one another. Please email me at bertran.bilton@aliefiefisd.net to let me know how many will be in attendance from your family. We need a head count to make sure we can feed everyone! Please email me by Wednesday, September 11. Several Sonics coaches have been designated to bring drinks (soda, juice, water, etc…), but feel free to bring your own if you have a particular preference. Also, a group of dedicated parents will plan to meet with everyone concerning fund-raising and a Christmas gala for the parents. They have been working very hard to help our track team grow…and we will need your assistance to make it happen! More information is forthcoming! I look forward to seeing you all in a couple of weeks! The Sonics Annual Picnic has been scheduled for Sunday, October 14 at 2:00 PM and will be held at George Bush Park, Pavilion #3. More details will be posted as they become available. UPDATE: Coach Camille is asking South Side families to sodas and North Side families to bring bottled water.